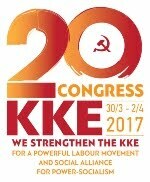 In Defense of Communism: Communist Party of Turkey: "Turkey is not helpless, the people’s true alternative will be strengthened!" 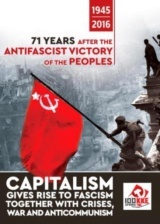 Communist Party of Turkey: "Turkey is not helpless, the people’s true alternative will be strengthened!" 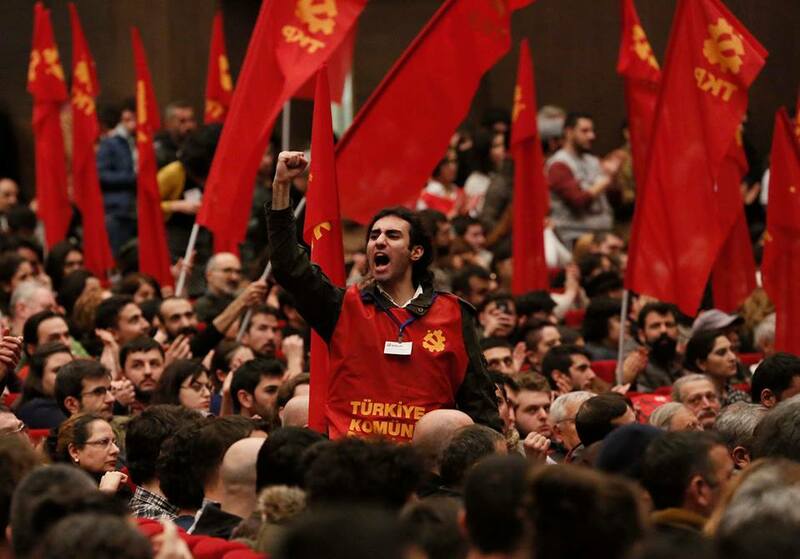 The Communist Party of Turkey (TKP) has released a comprehensive public declaration on January 15, calling on the working people to get organized within the party in order to strengthen the people’s true alternative amid the political chaos in the country. 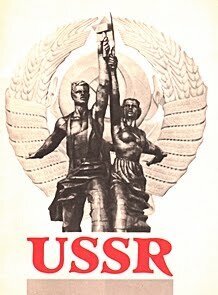 Indicating to the current situation of the worldwide imperialist system, the TKP declaration says, "It has been revealed that the world’s super power U.S. President Trump watches T.V., and eats hamburger all the day for fear of being poisoned. What a big dilemma!" 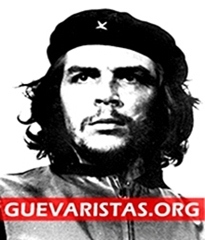 The TKP puts forth that Donald Trump is the most suitable personality to represent today's imperialist world order since the current system is based on inequalities, unfair distribution of income, starvation, poverty, unemployment, intense exploitation, environmental damage, crazy armament, the threat of nuclear war, racism and religious fundamentalism. The TKP declaration states that although Turkey does not deserve the Justice and Development Party (AKP) government, this party suits to the existing order of the country very well under capitalist conditions. "It is not surprising," the TKP says, pointing out to the interior minister, who orders the police to "break the drug dealers' legs" in an unlawful attempt, as a member of the AKP government that attacks workers who raise their voices for their trade union rights. As Turkey's Religious Affairs Directorate (Diyanet) dares to give fatwas saying that "9-year-old children could marry", the TKP emphasizes that all the bourgeois parties have played role in the emergence of such scandals, considering that, apart from the AKP party and its right-hand fascist MHP party, the parliamentary main opposition Republican People’s Party (CHP) defines secularism as the "freedom of faith and praying" or the pro-Kurdish Peoples' Democratic Party (HDP) commemorates Islamic religious figures, eventually undermining the basis of secularism. 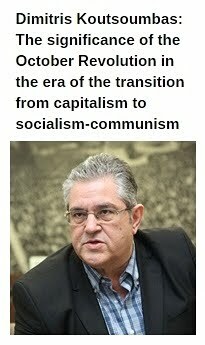 Setting forth that there is no other capitalism, market economy or imperialism, the TKP calls on all the people to struggle with the party for the bright future of the country, adding that it is the responsibility of the communist party to warn those who dream about "fleeing from the country under the AKP rule" or "waiting for other forces to save the country". "Turkey must be saved from the U.S., its military existence and bases, its intelligence organizations, its political impositions, its threats of coups, and from NATO," the TKP says, but emphasizes that without getting rid of the country's capitalist class that cooperates with the U.S., it would be impossible to kick out such imperialist forces from the country. The TKP vows that it will launch an assertive and widespread campaign along with patriotic people for exiting from NATO and shutting down the entire foreign military bases in Turkey, reminding that President Recep Tayyip Erdoğan’s and his party’s discourse against the U.S. is just fake and demagogic. "Imperialism is not only composed of the U.S. 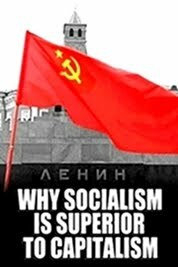 Imperialism is the name of today's world order, and the powerful actors of the system from the European Union countries to the Russian Federation, from China to Japan are all in a cut-throat competition," the TKP declaration says, adding that this is what leads to regional wars. 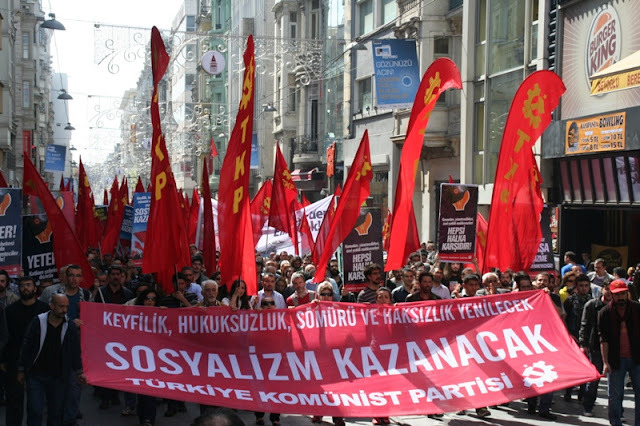 "There is no good imperialist," the communist party notes, pointing out the role of Turkey’s capitalist class that drags the country into a bloody game in search for new fields of market and investment in the region. 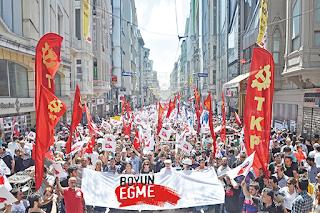 Reminding that the AKP government is no different than former bourgeois governments in exploiting the workers and eliminating their rights to strike, as one percent of the population, the capitalists, seize most of the country’s richness, the TKP warns the working people to not to generate hope from the intra-bourgeois political tensions. The TKP emphasizes that the tension between Erdoğan and his predecessor Abdullah Gül, the position of the CHP party or the new 'Good Party' under the lead of ultra-nationalist Meral Akşener would not change the rule of exploitative capitalist class. 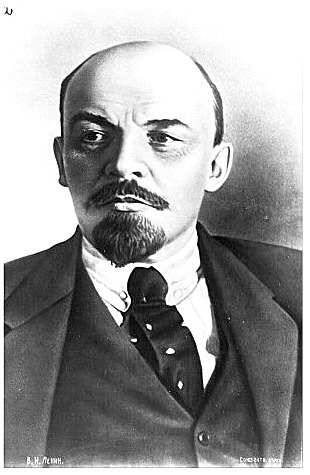 "When the working class said in the past, 'We want the power, the workers will rule the country,' the capitalists had to step back. Thus the 8-hour workday, the right to collective bargaining with trade unions and social security system were provided, thus many countries enabled free system of education and health," the TKP statement says, adding that only when the working people get organized and seek power, they can protect their acquired rights. Referring to the historical progress in Turkey, the TKP states that reactionary forces were defeated in 1908 and 1923 when the obsolete Ottoman Empire collapsed and the modern Republic of Turkey was established. "Reactionism was supported by imperialists, particularly the U.S. and Germany, in order to put an end to the rise of socialism and the workers' movement in Turkey and the region," the declaration says, adding that the TKP sees the struggle for Enlightenment as part of the struggle against capitalism and imperialism. The TKP underlines that Turkey will witness three important elections in the near future, however, adding that relying on the elections alone would mean suicide for the people, considering that the elections in Turkey are open to the AKP-government-led manipulations. "The pro-establishment opposition has also accepted this situation and focused on the presidential election. Everyone is searching for a 'person' who will defeat Erdoğan. This, however, would entrap the Turkish society. Politics based on one single person would completely passivize the people," the TKP remarks, adding that unorganized people always lose as many bourgeois alternatives to Erdoğan’s party are vainly portrayed as a "recipe for emancipation". 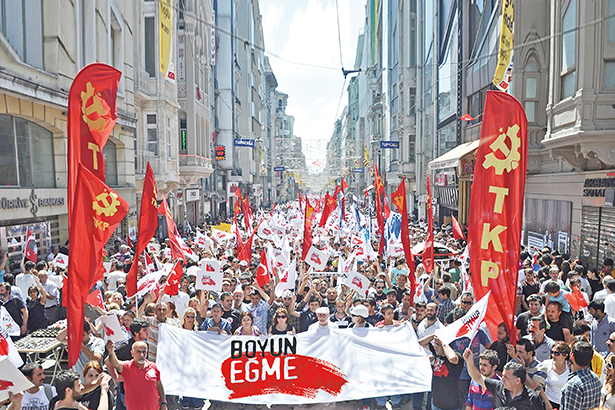 Declaring that working people’s emancipation will not come with elections alone, the TKP says that it will create the people’s true alternative during the elections despite the government’s repression and bans. The TKP will launch a campaign between January 20 and February 20 to organize new party members along with new party buildings across the country. 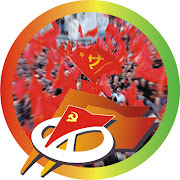 The party calls on the working people to attend the party events that will be held in commemoration of the 15 initial founders and members of the TKP, who were murdered in the year of 1920 during the anti-imperialist war waged in Anatolia. "Turkey is not helpless, the people’s true alternative will be strengthened," the TKP declaration concludes. "Türkiye çaresiz değildir, halkın gerçek seçeneği güçlenecektir." Dünyanın süper gücü Amerika Birleşik Devletleri’nin Başkanı Trump’ın zehirlenme korkusuyla sadece hamburger yiyip bütün gün televizyon seyrettiği ortaya çıktı. Ne büyük bir açmaz! Hamburger devi McDonald’s bütün dünyaya sağlıksız bir beslenme alışkanlığını dayatıyor, birçok hekim bunun yavaş yavaş zehirleme olduğunu ileri sürüyor ve ABD’nin başındaki şahıs kendi sağlığını korumak için kendini bu hamburgerlerle yavaş yavaş zehirliyor. Bu nasıl bir çaresizliktir! Kendine ait otel ve kumarhaneleri olan, insanları aldatarak para kazanan, kiralık yapımcılara televizyon programları yaptırıp insanları aptallaştıran Trump’ın ABD Başkanı olarak aynı “uyuşturucu”yla yatıp kalktığını öğreniyoruz. Bu nasıl bir ahmaklıktır! Emperyalist dünyanın zirvesinde durum budur ve Trump bu dünyanın zirvesine çok yakışmaktadır. Çünkü bu dünya eşitsizliklerin, gelir adaletsizliğinin, açlığın, yoksulluğun, işsizliğin, yoğun sömürünün, çevre tahribatının, çılgınca silahlanmanın, nükleer savaş tehdidinin, ırkçılığın, dinsel bağnazlığın dünyasıdır. Bütün gün hamburger yiyip televizyon seyreden Trump bugünkü dünya düzenini temsil etmek açısından en uygun kişidir. İnsanın insanı sömürmesi üzerine kurulu kapitalist düzen ne iyileştirilebilir ne kendi yarattığı sorunları çözebilir. Dünya için geçerli olan Türkiye için de geçerlidir. AKP iktidarı Türkiye’ye yakışmamaktadır ama Türkiye’de mevcut düzene fazlasıyla yakışmaktadır. “Yuh bu kadar da olmaz” denilen olayların her birisinin bir mantığı vardır ve bugünkü düzenin kendisi “yuhlanmadıkça”, tek tek yapılanlara hayret etmek saçma hale gelmiştir. Örneğin polislere “kol-bacak kırın” diye talimat veren İçişleri Bakanı, yıllardır hakkını arayan, zam isteyen, işten çıkarılmalara karşı çıkan ya da sendikasızlaştırmaya “hayır” diyen işçilere saldıran bir hükümetin bakanıdır. Türkiye’de patronların kasası dolsun diye her tür hukuksuzluk, her tür adaletsizlik “kanun” haline gelmiştir. Sonuç “kol-bacak kırabilirsiniz” diyen bir İçişleri Bakanı’dır; kimse şaşırmamalıdır. Örneğin dokuz yaşında çocuklarla evlenmeyi uygun bulan Diyanet İşleri Başkanlığı’nın temellerini yalnızca AKP ve onun hınk deyicisi MHP değil, “laiklik inanç ve ibadet özgürlüğüdür” diyerek din işleri ile siyaset işlerinin iç içe girmesini hızlandıran CHP, Said Nursi gibilerini aklayan HDP de atmıştır. “Bu kadar da olmaz” yanlış bir tepkidir çünkü bugünkü düzende başka türlüsü olmaz. Açıkça söylüyoruz ki Türkiye Komünist Partisi başka bir kapitalizm, başka bir sömürü düzeni, başka bir emperyalizm, başka bir piyasa ekonomisi olabileceği yalanına ortak olmayacak. Bugün “belki bana bir şey olmaz”la avunan, “ya daha kötüsü gelirse” diye kabuğuna çekilen, “biri bizi kurtarsın şu adamdan” dileği tutan, “memleketi ben mi kurtaracağım” bencilliğine saplanan, “çekip gidelim buralardan” çaresizliğine teslim olanları uyarmak, hayal dünyasından çıkarmak TKP’nin sorumluluğudur. “Bir şeyler yapmak gerekir” diyerek arayışa giren, çözüm arayan, mücadele etmek isteyenlere seçenek sunmak, onlarla birlikte aydınlık bir Türkiye kurmak da TKP’nin temel görevidir. Türkiye ABD’den, onun askeri varlığından, üslerinden, istihbarat örgütlerinden, siyasi dayatmalarından, darbe tehditlerinden, NATO’dan kurtulmalıdır. Kurtulmalıdır ama çıkarları Amerikan şirketleriyle derin işbirliğini gerektiren sayıca az paraca zengin patronların borusu öttüğü sürece ABD Türkiye’den nasıl kovulabilir ki? Zengin sınıfların tersine emekçi halk ABD emperyalizminden nemalanmamakta, onun varlığından zarar görmektedir. TKP pazarlık yapmak için değil, tankıyla, topuyla, tüfeğiyle, darbecisiyle, işbirlikçisiyle, ajanıyla, ABD emperyalizminin tüm unsurlarını kapı dışarı etmek için mücadele etmekte, emekçi halk adına iktidara talip olmaktadır. Herkes bilsin ki, 2018’de ABD emperyalizmine karşı sahte diklenmelerle, “eyyy Amerika” sayıklamaları ile değil, gerçek ve halk iradesine dayalı mücadele ile durulacak. TKP NATO’dan çıkılması, bütün yabancı askeri üslerin kapatılması için yurtsever halk unsurlarıyla birlikte yaygın ve etkili bir çalışma başlatacaktır. Emperyalizm yalnızca ABD’den ibaret değildir. Emperyalizm bugünkü dünya sisteminin adıdır ve Avrupa Birliği ülkelerinden Rusya Federasyonu’na, Çin’den Japonya’ya sistemin güçlü aktörleri birbirleriyle kıyasıya bir rekabet içindedir. Bölgesel savaşların temel nedeni, bu rekabettir. Türkiye’nin bu kanlı ve ikiyüzlü rekabetin orta yerinde kalması yalnızca adı geçen ülkelerin suçu değildir. Türkiye’nin insani ve maddi kaynaklarını sonuna kadar sömüren patron sınıfımızın yeni pazar ve yatırım alanları arayışı Türkiye’yi ateşin içine atmıştır. İçeride ve dışarıda barışın ve tam bağımsızlık ve egemenliğin yolu emekçi halkın iktidarından geçer. TKP “milliyetçiliğin” arkasına gizlenerek halk düşmanı politikalara ve şu ya da bu emperyalist devletin kanatları altında “fetihçilik” oynayanlara pabuç bırakmayacaktır. Türkiye’de nüfusun yüzde birlik kesimi ülke zenginliklerinin yarısından fazlasını gasp etmiş durumda. Buna imkan tanıyan sömürü düzenidir. AKP bu sömürü düzeninin sürmesi için işçi ücretlerini aşağıya çekiyor, grev hakkını ortadan kaldırıyor, çalışma saatlerini uzatıyor buna karşın türlü yollarla bütün halka ait olan kaynakları patronlara aktarıyor. Bu açıdan AKP öncesindeki hükümetlerin bir farkı yoktu. Aynı sömürü, aynı hırsızlık düzenini savundular, emekçi sınıfları hep aldattılar, yeri geldiğinde polisle, jandarmayla, darbelerle hakkını arayanları susturmaya kalktılar. Erdoğan ile Gül arasındaki gerilimin, Akşener’in hamlelerinin, CHP’nin içinde kaynayan kazanın bir yerden sonra hiçbir önemi yoktur. Bu ülkenin zenginliklerinin yarıdan fazlasını sermayedarlardan, patronlardan oluşan yüzde birlik küçük bir nüfus bölmesi ele geçirecek, milyonlarca emekçinin önüne 1600 lira alay edercesine “al bununla yaşa, gerisine karışma” diye konacak, sonra tamamı patronların saltanatına hizmet eden parti ya da “lider”lerden birisini seçmek demokrasi olacak. TKP bu oyunu illa ki bozacak. Zengin partilerinin çevirdikleri dolaplar, halkı nasıl kandırdıkları, hırsızlıkları bir bir ortaya konacak. AKP iktidarının, sivil ve asker bürokrasinin, yasaların, düzen muhalefetinin ortak noktasının patronlara hizmet olduğu gerçeği bütün çıplaklığı ile halka anlatılacak, halk düşmanı faaliyetlerde bulunan herkesin ipliği pazara çıkacaktır. “Ben kendimi sömürtmeyeceğim, asalakları, soyguncuları sırtımda taşımayacağım, artık kendi kaderimi ellerime alacağım” demeyen bir halk yalnızca geleceğini ve ülkesini değil günlük ekmeğini de kaybeder. “Düzen değişikliği” için mücadele yalnızca bu karanlıktan kurtulmak için değil, hayat pahalılığına, ücretlerdeki kesintiye, çalışma saatlerinin uzamasına karşı durmak için de gereklidir. Geçmişte işçi sınıfı, “Ben iktidarı istiyorum, ülkeyi emekçiler yönetecek” dediğinde patronlar geri adım atmak zorunda kaldı. 8 saatlik iş günü, grevli toplu sözleşmeli sendika hakkı böyle sağlandı, sosyal güvenlik sistemi bu şekilde kuruldu, birçok ülke parasız eğitim ve sağlık sistemine bu sayede geçti. Yönetime talip olmayan, iktidarı istemeyen bir halkın lokmasını da hırkasını da elinden alırlar. Bunun en somut örneği Türkiye’de yaşananlardır. Kişi başına düşen milli gelir artarken gerçek ücretlerin sürekli düşmesinin başka bir açıklaması olabilir mi? Çürümüş düzenin yıkılması için ayağa kalkan bir halk bugünkü gibi çaresiz olmaz, sömürücüler adımlarını on kez düşünerek atarlar. TKP “düzen değişikliği uzun iş, bugün ne yapacağız” diye soranlara bugünü de yarını da kazanmak için güçlerimizi birleştirmek ve bir avuç soyguncuyu başımızdan atmak için harekete geçmemiz gerekiyor yanıtını veriyor. Bu doğrultuda işçiler, işsizler, emekliler, yoksul köylüler için her gün daha dayanılmaz hale gelen ekonomik güçlüklere karşı birlikte mücadele ve dayanışma kültürü ile durmak için yeni kanallar açılacak, “örgütlü bir halkın kazanacağı”nı gösteren yeni örnekler yaratılacaktır. Bu ülkede gericilik hep vardı. 1908’de gericilik yenildi. 1923’te gericilik yine yenildi. Peki bundan yüz yıl kadar önce yenilen gericilik bugün neden zaferini kutlamaya kalkıyor? Bu sorunun yanıtını vermeden gericilikle mücadele etmek yel değirmenlerine saldırmaktan farksızdır. Gericilik Türkiye ve bu bölgede işçi sınıfı hareketini, sosyalizmin yükselişini durdurmak için başta ABD ve Almanya olmak üzere emperyalistler tarafından desteklendi. Gericilik Türkiye toplumunun uyanışını durdurmak, kanla ve dinsel baskılarla boğmak için patronlar tarafından palazlandırıldı. Bu iki faktör olmasaydı, gericilik yenilmeye mahkûmdu. Demek ki gericiliği yenmek için kapitalistleri, emperyalizmi yenmek gerekiyor. İşte bu yüzden TKP aydınlanma kavgasını yobazların arkasında kimlerin ve neden saklandıklarını bilerek yürütüyor. Türkiye’de toplumun geniş bir kesimi kendisini mutsuz, çaresiz hissediyor. Hükümet bu çaresizlik duygusundan yararlanarak halkı sindirmek, yıldırmak için her tür taktiği denemekte. Ona en büyük yardım da düzen muhalefetinden geliyor. Erdoğan kendisinin seçeneksiz ve yenilmez olduğu fikrini yaydıkça muhalefet bir yandan AKP’ye daha fazla benzemeye çalışmakta bir yandan da “Erdoğan çok güçlü, onu alt etmek için herkes birleşmeli” demektedir. Gelinen noktada düzen muhalefeti Erdoğan’ın alternatifinin Abdullah Gül olduğunu kabullenmiş durumdadır. Ancak burada bir alternatif olmadığı, yıllardır AKP iktidarına duyduğu tepki azalmamış milyonlarca kişinin Abdullah Gül’den heyecanlanmayacağı açıktır. Dahası bir tarafı İyi Parti’de, bir tarafı HDP’de, bir tarafı AKP’nin korkak muhaliflerinde, bir tarafı CHP’de duran bir “birlik” Erdoğan’ın demagojisi karşısında savunmasızdır. Hükümetten gelen “dış mihrak”, “FETÖ”, “Soros” suçlamalarını bugün “sen kendine bak” diyerek boşa düşürmek zordur. İnsanlar dünü değil bugünü önemseyecektir. Nereden bakarsak bakalım, düzen sınırları içindeki muhalefetin tükendiği görülmektedir. TKP bu tükenişin parçası değildir. TKP toplumdaki arayışın Abdullah Güllere, Meral Akşenerlere, yeni Ekmeleddinlere peşkeş çekilmesine izin vermeyecektir. Türkiye yakın gelecekte arka arkaya üç seçim yaşayacak. Kimse bu seçimlerin önemsiz olduğunu söyleyemez. Ancak seçmen kayıtlarının her tür müdahaleye açık olduğu, sandık başında hile ve baskının yaygın bir uygulamaya dönüştüğü, YSK’nın hükümetin “seçim kolu” olarak faaliyet gösterdiği bir ülkede sadece seçimlere bel bağlamak intihardır. Üstelik Parlamento iyice işlevsizleşmiş, yerel yönetimler İçişleri Bakanlığı’nın insafına bırakılmıştır. Özetle “seçmen iradesi”nin bir hükmü kalmamıştır. Düzen muhalefeti bu durumu da kabullenmiş ve Cumhurbaşkanlığı seçimine odaklanmıştır. Herkes Erdoğan’ı alt edecek bir “isim” peşindedir. Oysa bu Türkiye toplumunun tuzağa düşürülmesidir. Tek bir kişi üzerinden siyaset, zaten örgütsüz olan halkı tamamen edilgenleştirecektir. Türkiye’nin sorunları halk bütün düzlemlerde örgütlenmeden, örgütlü siyasete girmeden çözülemez. Örgütsüz bir halk sandıkta her zaman kaybeder. Kazansa bile sandığı elinden alırlar. TKP seçimleri elbette önemsemektedir. Milletvekili seçimlerinde de yerel yönetimler için yapılacak seçimde de, Cumhurbaşkanlığı seçiminde de her tür baskı ve yasaklamaya, hükümet tarafından icat edilen yeni engellere rağmen emekçi halkın seçeneğini güçlendirmek için üzerine düşeni yapacak ancak tek başına sandığa bağlanan kurtuluş reçetelerinin temelsizliğini göstermeye devam edecektir. Türkiye Komünist Partisi 2017’nin son çeyreğinde yaygınlaşmak ve örgütlenmek için yeni bir hamle başlattı. Edirne’den Ardahan’a emekçi halkın seçeneğinin Türkiye’nin her tarafında kendisini hissettirmesi için yeni il ve ilçelerde bina açtı. Üye sayısında büyük bir artış var. 2018’de bu örgütlenme hamlesi yeni bir evreye taşınıyor. “TKP her yerde” hedefi doğrultusunda yürütülen çalışmalar sonunda Türkiye Komünist Partisi kendisine hak veren ama tereddüt eden geniş bir kesimle daha yakından temas edecek, onların elinden tutacak ve çaresizlik hissini ortadan kaldıracaktır. TKP 20 Ocak - 20 Şubat tarihleri arasında “Halkın seçeneği güçleniyor” sloganıyla özel bir örgütlenme dönemine giriyor. 1920 yılında kurulan Türkiye Komünist Partisi’nin Anadolu’da verilmekte olan antiemperyalist savaş sırasında katledilen 15 üyesini de anacağımız bu bir aylık süre boyunca Türkiye Komünist Partisi yeni birçok bina açacak, 15 yerde halkla buluşma toplantıları düzenleyecek, eşitlik tutkunu çok sayıda kişiyi parti saflarına katacaktır. Türkiye çaresiz değildir, halkın gerçek seçeneği güçlenecektir.